The Joosten Foundry was specialised in cire perdue casting (an old method of casting with a wax model, which disappears during the process). In the sixties and seventies of the twentieth century, the Joosten firm was also specialised in new casting processes, inititiated by the new abstract forms and sculptures of their clients, of which Wessel Couzijn was one of the most important ones. 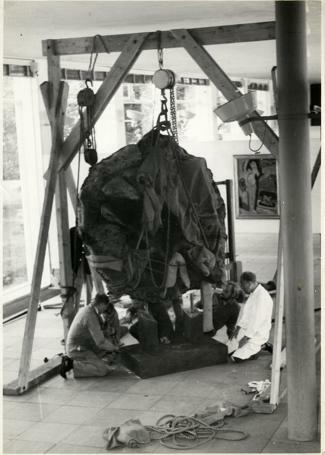 Sculptuur Instituut has acquired some archival material of this company through the kind permission of mr. Ben Joosten. In this archive, lots of photographs of the casts, casting process and artists who were clients of the firm are included. For the inventory: Archives and Images.